Web-based technology has been re-shaping our real estate investment markets and the wider real estate industry. New technology is providing leaders in this space with market dominant positions, all while producing remarkable returns on investment for Property Technology investors and founders. Also known as “PropTech”, the time is now to gain the winning advantage over other investors before it’s too late. John Meharg, OREIO member for over a decade, has a technology startup background and is a real estate investor. He’s founding a Property Technology group within the Ottawa Real Estate Investors Organization (OREIO) membership, and you are invited to participate to gain your well-deserved leading edge. New Property Technology group within the Ottawa Real Estate Investors Organization (OREIO) membership will benefit group members and the wider OREIO membership. Group participants will engage in exclusive discussions on investing and capitalizing on leading-edge property technology opportunities. The group will be uncovering the “best-in-class” PropTech that investors could benefit from knowing about, and present these findings to the OREIO members. The aim is to provide OREIO with a presentation on this important subject, to be delivered in 2018/19. The group will work and meet virtually and in-person to quickly gain knowledge on this important investment topic. Membership to this group is closed off at 10 members. Do you have a tech background or tech expertise, and are investing in real estate? This group may be a good choice for you. Contact John Meharg at john@armourdevelopment.com or text him now at (613) 355-1560 and he will send you the first meeting’s details for your consideration. If like myself you feel that perhaps its time you made a contribution to our OREIO community. I invite you to participate in our newly forming (prop-Tech) Property technology sub committee. 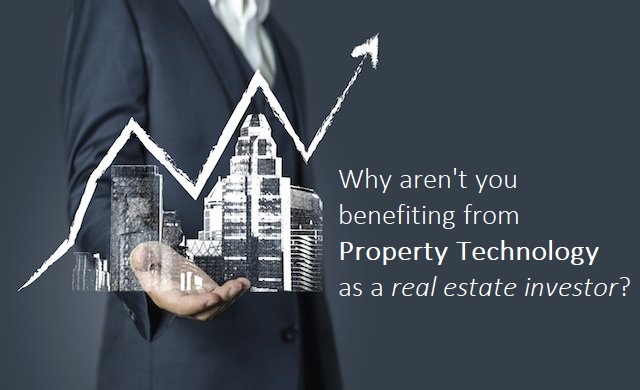 Web based real estate technology has been re-shaping our markets and industry, providing leaders in this space with market dominant positions and all while producing astounding ROI to prop-tech investors and founders. Our new groups goal will be to highlight the best in class prop-tech we might all benefit from knowing, and to develop a presentation on this important subject to be delivered this OREIO 2018/19. For my own contributions, I have a tech and start-up background including prop-tech’s in my portfolio. Im a strong researcher and have some knowledge on the subject. However anyone present in the room when I step up to the mic will quickly note that im very nervous at public speaking. So ideally one or more of our brave OREIO members with a strength in this area, might help and lead this presentation once complied and formatted for our audience. In keeping with our theme I plan to establish a Glip project management portal for out team to remotely and virtually collaborate. And for any required in-person meetings we can use one of my board rooms at my newest (Real Estate Incubator/Accelerator/Investment center & co-working space) more on this project to follow…..
I’ve personally met many of our OREIO members with tech careers, backgrounds and investments. To those and or others interested in this subject and making a contribution this year. I look forward to collaborating on this exciting and timely presentation. Please feel free to contact me at john@armourdevelopment.com or text my cell at 613-355-1560 and ill look forward to connect.